Ramdev Beauty Collection, one of the leading manufacturer, wholesaler, importer and trader of this commendable and wide range of Saloon Products, established its operations in the year 2008. The offered range is made up of the finest products like Salon Chairs, Salon Shampoo Stations, Salon Trolleys, Salon Stool and much more, which are widely acclaimed and asked for in the market. Making of this range is done as per the set industry norms and guidelines, utilizing the finest raw materials and modern machines. This ensures the product’s quality standard. In addition to this, the offered range used in several beauty clinics and hair salons is marked at the most reasonable rate possible. The highly advanced state-of-the-art infrastructural facility at Ramdev Beauty Collection has been equipped with all the necessary machinery and equipment, needed for the facilitation of the attainment of a number of the firm’s predefined objectives. In order to attain a better position in the market and maximize our capacity to produce, the facility undergoes regular up-gradation. To manage the firm’s operations in the best possible manner, the facility has been parted into a number of units highly operational in nature. Along with the, our huge client base is owed to our highly ethical work practices. Under the leadership of our skilled Proprietors, Mr. Mayur Kachchhi and Mr. Prakash, we have managed to reach greater heights of success. Their impeccable management skills, ability to understand the market and make commendable decisions, are amongst our most valuable assets. Manufacturing and Trading of Saloon Products. Our team of highly skilled and experienced professionals is recruited on the basis of their ability and willingness to perform. These professionals help us in the achieving of several of the firm’s predefined goals and objectives. For reasons of managing the firm’s operations, in the best possible manner, the facility has been parted into several highly operational units. The division of these professionals is commenced on the basis of their proficiency in a specific vocation. Our highly developed state-of-the-art infrastructure at Ramdev Beauty Collection has been parted into a number of highly operational units, for reasons of attaining better management of the firm’s operations. The facility, equipped with all the necessary machinery and equipment, help us in the attainment of several of the firm’s predefined goals and objectives. In addition o this, to boost our presence in the market and maximize our production, the facility is upgraded on a highly regular basis. 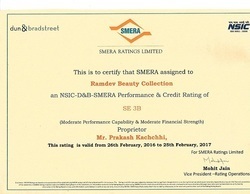 To us at Ramdev Beauty Collection, quality is something of high importance. Thus we engage in the utilization of high-grade raw materials and modern machines, following the norms, guidelines, and standards, defined by the industry. This ensures the product’s sturdiness and finishing. Further, the offered range is known to be sent for several rounds of quality examinations, for reasons of making a highly standardized range available in the market. These examinations, eliminates all manufacturing defects, with a high level of precision. We, Ramdev Beauty Collection, are amongst the leading manufacturers, suppliers, and traders of this commendable range of Saloon Products. To maintain this reputation, we engage in the utilization of high-grade raw materials and modern machines, in compliance with the set industry norms and guidelines. 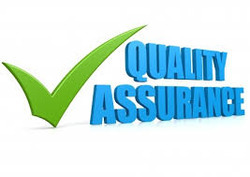 This ensures the product’s standard of quality. Further, the offered range is known to be marked at the most reasonable rate possible, packed in a highly commendable manner and is delivered with a high level of punctuality.